Large-scale temperature fronts (polar, Spitsbergen, Arctic, and coastal) are revealed in the Barents Sea based on the data of NOAA OI SST reanalysis which contains the monthly mean values of sea surface temperature. The features of the climatic interannual cycle of their characteristics are identified. Russian Text © Yu.V. Artamonov, E.A. Skripaleva, A.V. 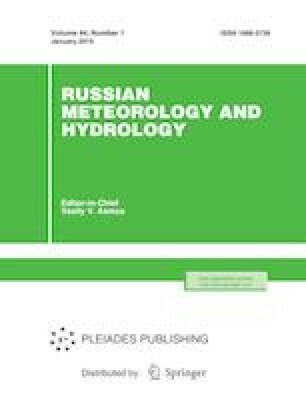 Fedirko, 2019, published in Meteorologiya i Gidrologiya, 2019, No. 1, pp. 78–90.